As the continuous development of semiconductor technology, more and more IP cores can be contained on the single chip. At this time the interconnected structure plays a decisive role on the area and performance of system on chip, and has a profound influence on the transmission capability of system. Based on the distributed routing lookup, we proposed a new kind of inerratic interconnection network is named HCCM (Hierarchical Cross-Connected Mesh), which is consisted of a N ×N Mesh interconnection of N 2 subnets, every subnet comprised of 2 ×2 interconnection by full connection. 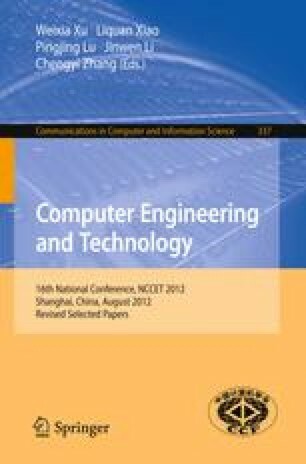 Meanwhile, this paper comes up with a new hierarchical routing algorithm——HXY (Hierarchical XY), the simulation results demonstrate the HCCM topology is superior to the Mesh and the Xmesh topology on the performance of system average communication delay and normalized throughput.